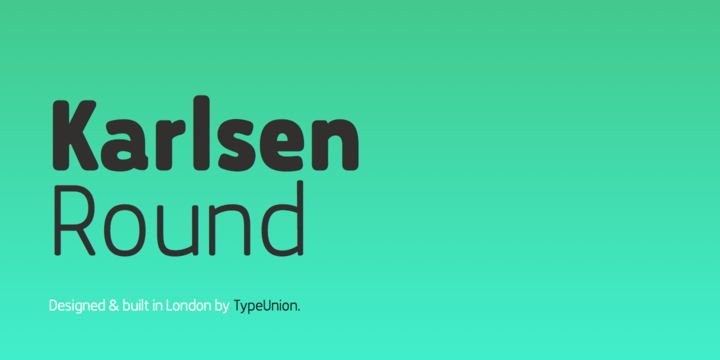 Karlsen Round is a rounded sans serif typeface designed and published by TypeUnion that is characterized by functionality & versatility. Available in 14 styles, 7 weights and italics, language support it can be use fo a wide variety of situations, multiple applications ans uses. You might want to check Karlsen family. Enjoy! A font description published on Friday, March 27th, 2015 in Fonts, TypeUnion by Alexandra that has 3,545 views.